Vox VXII 30 Watt Digital Modeling Amplifier..
Squier® brings you a brand-nu signature model in the crushing form of the Squier® Jim Root Telecaster. 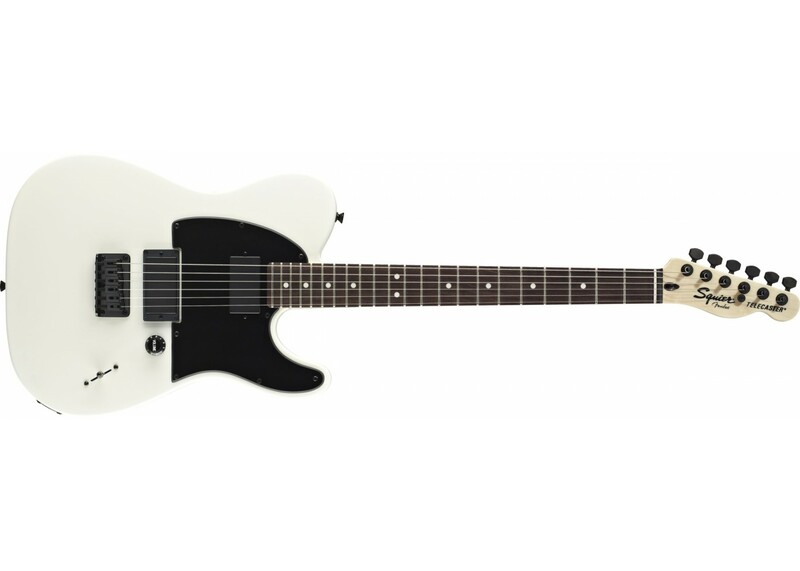 Designed in cooperation with the acclaimed Slipknot/Stone Sour guitarist, it boasts several foreboding features, most notably a satin-matte finish in black or white, starkly simple single-knob/single switch control layout, black die-cast tuners and other black hardware, and two pulverizing passive humbucking pickups with black covers. 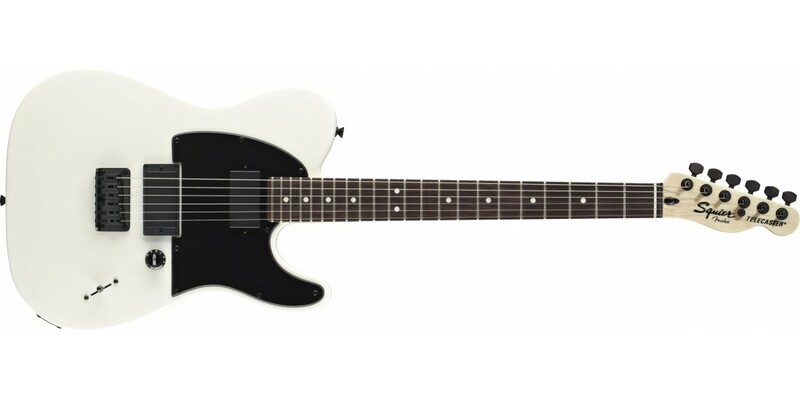 Other features include a mahogany body, modern C-shaped maple neck with satin matte finish, 12 inch radius rosewood fingerboard with 22 jumbo frets and parchment dot inlays, three-way pickup switch with black tip, single-ply pickguard (black on white body; white on black body), black numbered volume knob, and string-through-body six-saddle hard-tail bridge.